Hey guys! I have been asked a few times regarding what eyeshadow brushes do I recommend so I decided to share with you my top 3 affordable eye makeup brushes today! 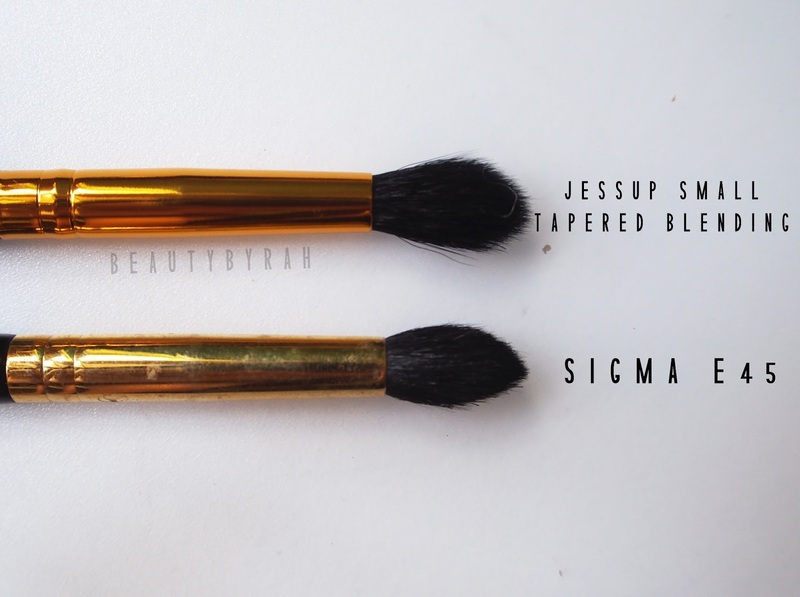 I do love a few eye brushes from Sigma but I believe that eye brushes from more affordable brands work just as well. 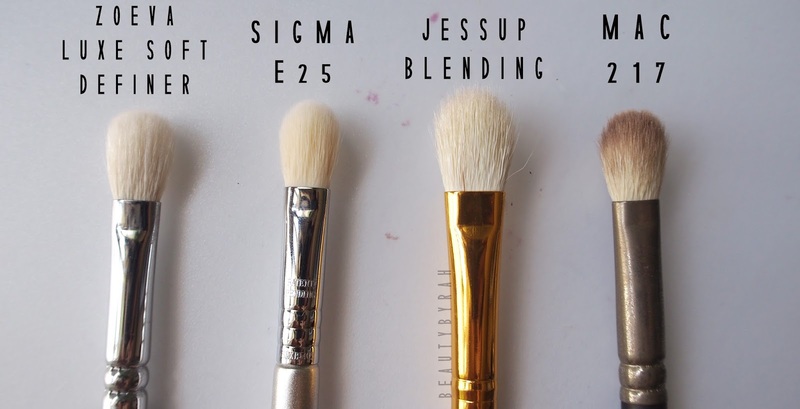 Higher end brush brands such as Sigma, Sedona Lace, MAC, Bobbi Brown etc do have really decent brushes, but the price paid does not necessarily always equal to the quality that you are going to get. Similarly, a super affordable brush does not mean it is of lousy quality either! For example, many people rave about the infamous MAC 217 brush. I own it, but rarely use it because it is scratchy on my eye. I bought it a few years back (buying into the hype) and was crazy over it for a while. Soon after, I decided to try similar cut brushes from other brands and boy, did I find the MAC 217 scratchy. That being said, eye brushes are pretty subjective. It really depends on how much eyelid space you have to work with. I am lucky to have a larger lid space than most Asians, so brushes which are typically made to suit general American/Western market works for me as well. 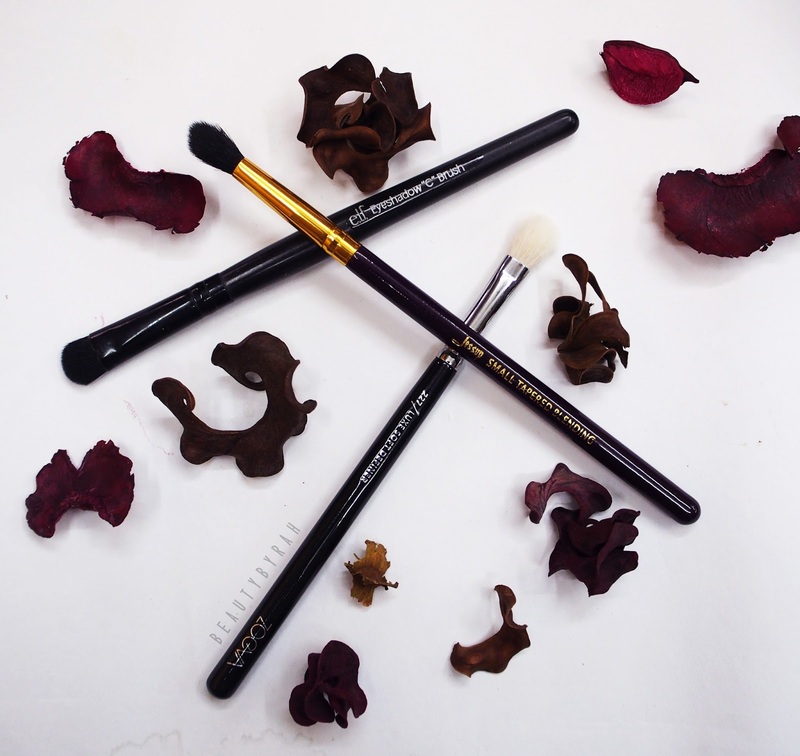 So do note, the perfect blending brush would be one that fits perfectly into your crease. Overall, natural bristles generally work better for blending as they grab onto more pigment to blend it out (but the difference isn't too stark - so do not panic and run out to find one if you already own a synthetic bristle blending brush!). On the other hand, synthetic bristles work great for lid colour application as these bristles deposit the most amount of pigment onto your lid, giving you the desired intensity! Additionally, do take not of the length and density of the bristles as this affects how much control you would have over placement and blending, as well as intensity! Ok, onto my favourite affordable brushes! I absolutely love this brush to pack on pigments/eyeshadows onto my lids. This brush is made of tightly packed synthetic bristles - it grips onto pigments really well and deposits them nicely on the lid. Fall out is minimal with this brush too, due to the short and densely packed bristles. You also get a good amount of control with this brush to precisely apply your shadows due to the length and density of the bristles as well. Extremely similar to Sigma's E55, if you ask me. For the price of USD$3 - you can't beat this. I get mine off iHerb.com, which you can check out here. P.S. If you're new to iHerb, you can use the code QFR109 for $10off orders above $40! This brush is really soft and fits perfectly in my crease. Asians do have lesser eyelid space to work with so brushes that are more precise are definitely a plus. I use this all the time for blending shadows in my outer V and blending in the crease. This brush is pretty similar to the Sigma E45 (but SOFTER, YES.). The only downside is that you cannot purchase this brush individually as it is only sold in the set of 15 brushes. But.... this whole set only costs about USD$18/SGD$24.Yes, you heard me right. 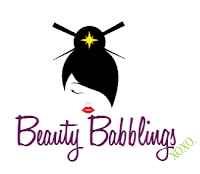 You can check out my whole review on these 15 brushes here as well as the link to purchase it. Every makeup lover talks about the MAC 217 and eventually, companies started coming up with brushes really similar to it. This brush is no exception except it is way softer and doesn't scratch my lids. I do own the MAC 217 and boy, ain't it scratchy (and I rarely use it!). This Zoeva brush, however, is really soft and feels luxurious on the lids. It is perfect for crease work as it fits really nicely. This retails for SGD$14.50 on Luxola which you can check out here. 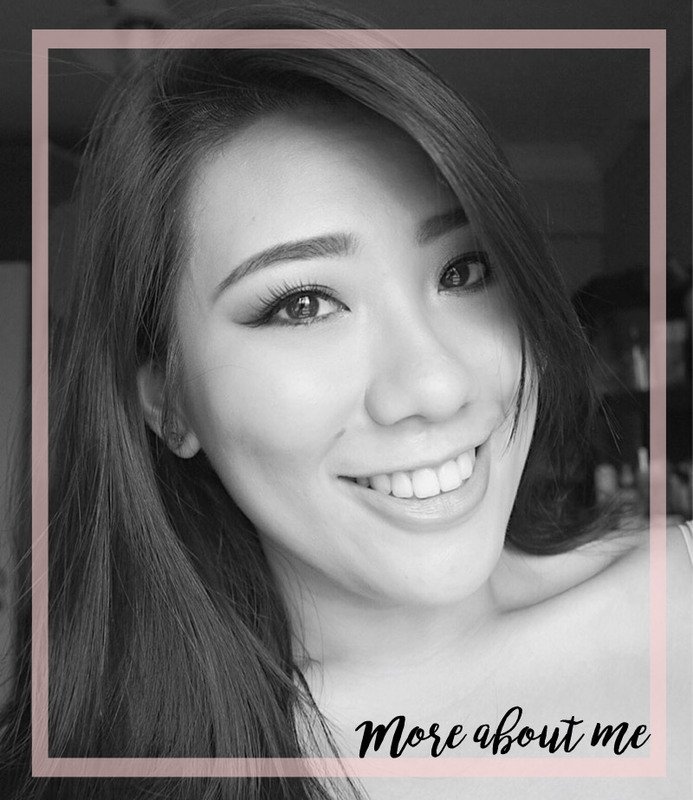 If you would like, you can click here to join Luxola as well! Hope this post was useful for you in some way! Eye makeup is all about blending. Yes, good brushes definitely aid in that aspect. However, if you can't afford to get expensive ones, that does not mean your eye makeup will not be as flawless as someone who did. Just take your time and blend, blend, blend (till your arms ache, and that's how you know you've done enough!). Thanks for dropping by loves!XO.